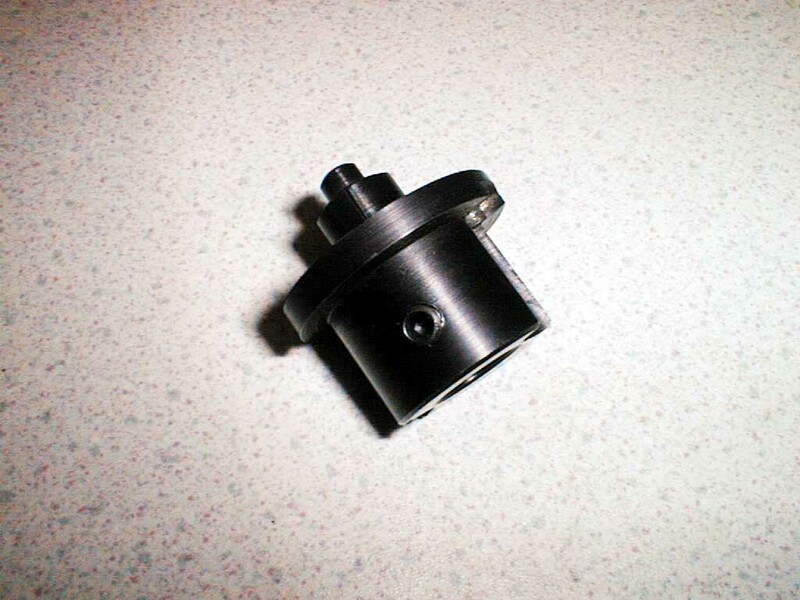 Some time ago, I bought a low-cost 4" Soba rotary table but have never done anything with it. The lack of any ability to hold work onto it has probably been the biggest factor! 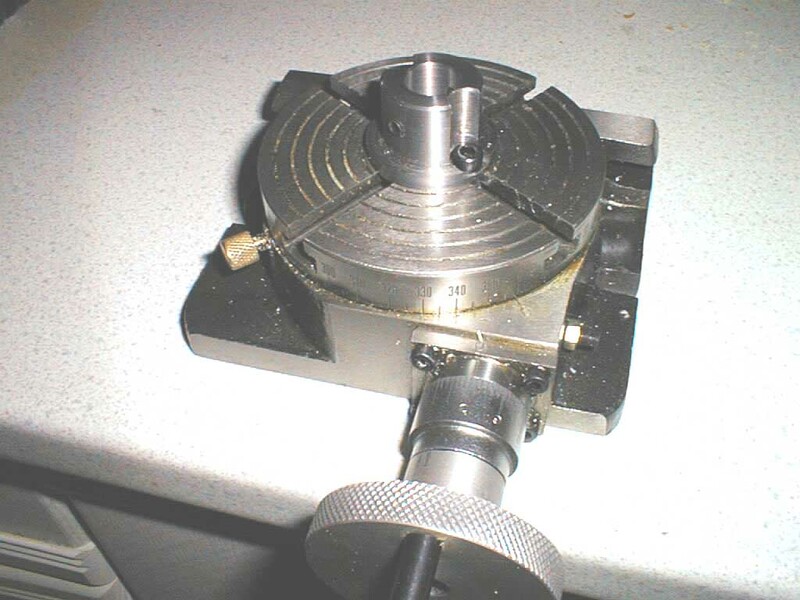 30-Nov-2002: This is a spindle nose for the 4" rotary table shown here attached to the table. It can accommodate an arbor of 15mm although other sizes might be made up in future (6/10/12 mm). This is a real help to me as the table does not have a Morse Taper hole, and the clamp kit you can buy as an extra is not much use for holding a spindle etc. Here it is in action. The good news is that it works really well. The bad news is I just stripped the gearbox in my mini mill while slitting a gear hob. The mini mill uses plastic gears? Hmmm... looks like another project coming up. Since the picture above was taken, the item in question has received a little surface rust. It has now been cleaned up and oxide blacked thanks to a kit from GLR so it should stay good looking for a while yet. You can click here to download a drawing of the rotary table spindle nose in .pdf format. 25-Apr-2003: To date, the little spindle nose I made up has not had much use. The big reason for this is it's only one size - 15mm. 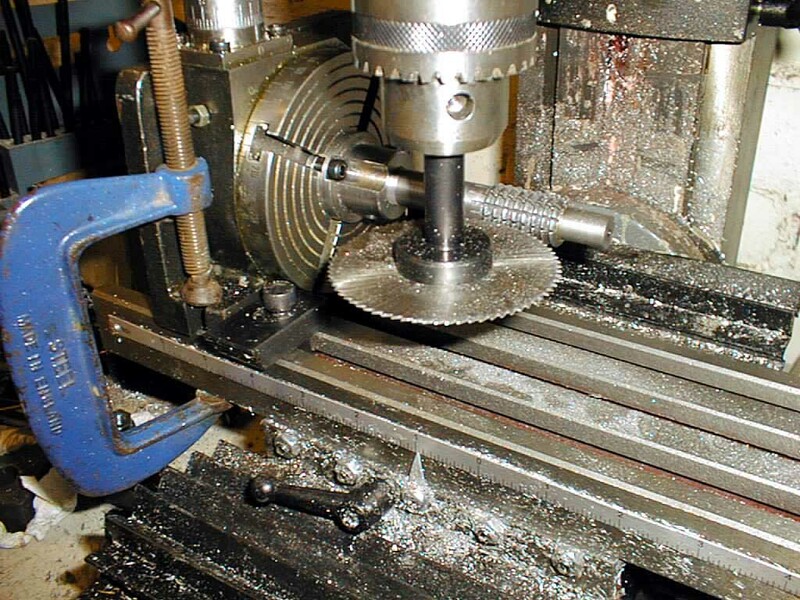 Brainwave: Make some means of mounting a Myford sized spindle on the rotary table... Turned from solid 2" bar and pressed/glued into a 1/4" thick steel plate, it looks like it will work. 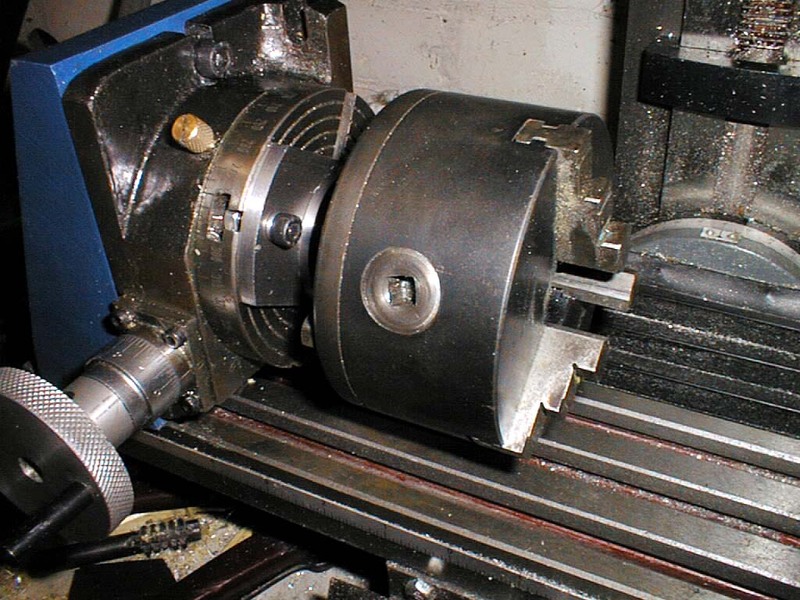 Myford 3 jaw chuck fitted, it does not leave a lot of room on the mini mill table. 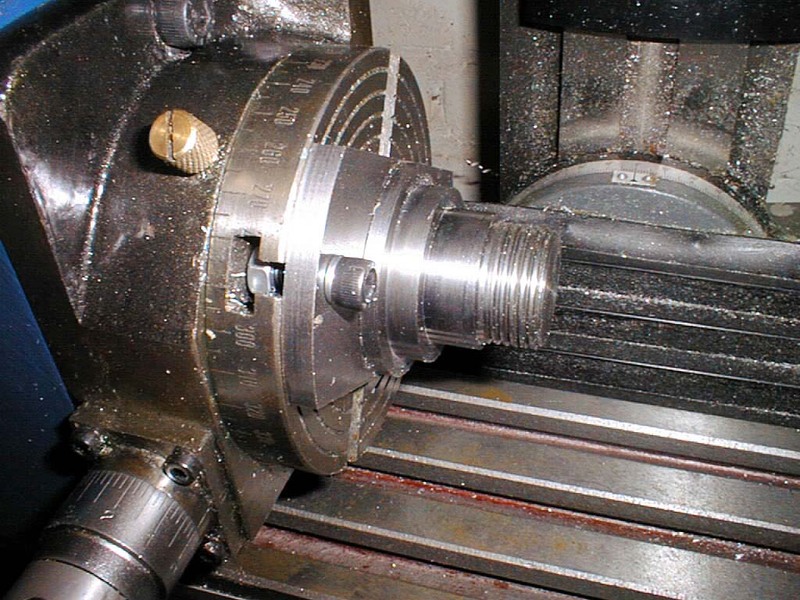 The tailstock is required or the whole assembly is too unstable. I think the idea has potential, but would really benefit from a smaller 4 jaw chuck like a Sherline.